Maple Bock includes notes of molasses and dark maple syrup as well as dark fruit such as raisin and fig. On the palate, plum and toffee are foremost with a hint of chocolate. Like a good lager, Maple Bock is highly drinkable and impeccably clean with a crisp finish. It has a hint of sweetness with a minimal hop profile and produces a creamy mocha head that is dense in texture with little lacing. 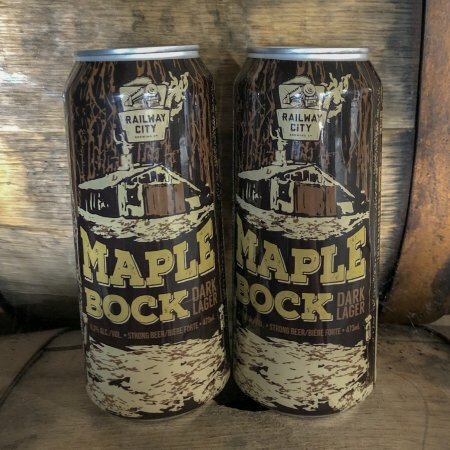 This year’s edition of Maple Bock out now in a limited run of 473 ml cans, available at the Railway City retail store while supplies last.